For the first time, patients will be able to experience how their vision will improve after cataract surgery, just before surgery. 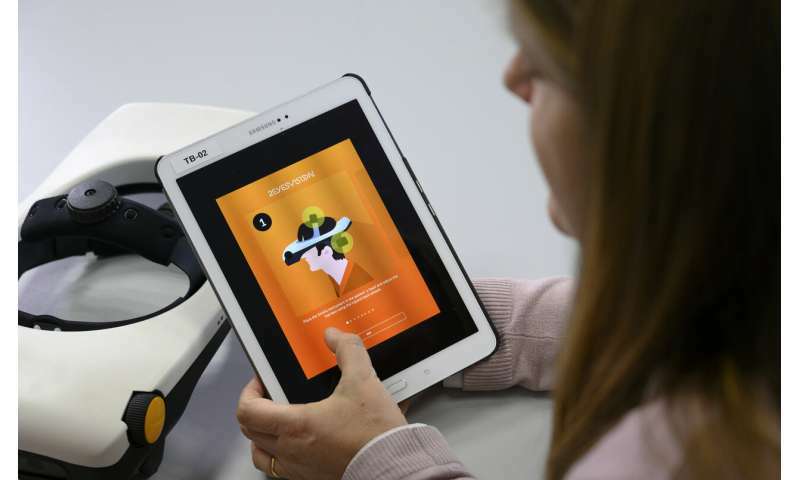 Thanks to a new wearable visual simulator developed by scientists from the National Research Council (CSIC), patients and surgeons are able to see the effects of an intraocular multifocal lens, which allows seeing at different distances, in a realistic way before being implanted. Multifocal lenses are used in cataract surgery to replace the lens when it has lost its transparency or to correct for presbyopia. There are different lens designs in the market, and choosing one or another depends on each patient's tolerance and preference. 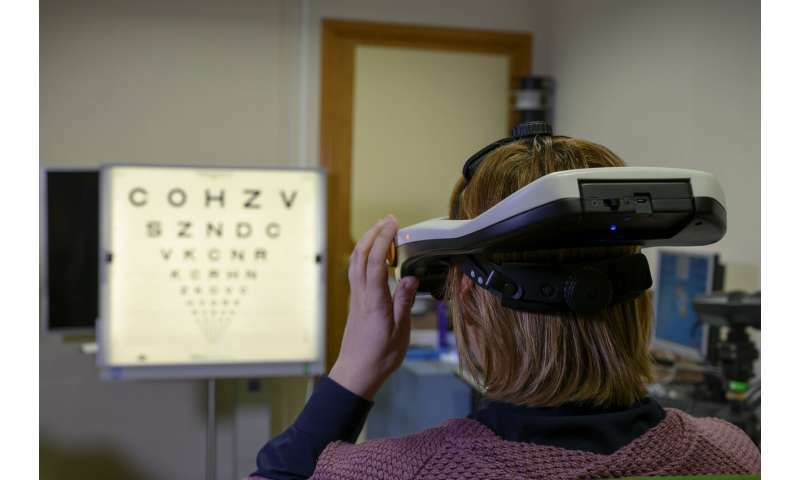 "The possibility of the patient experimenting with vision using a multifocal lens before the surgery is very attractive to reduce uncertainty and to manage expectations," says CSIC researcher Susana Marcos, who works at the Institute of Optics. Her team at the Visual Optics and Biophotonics Laboratory has spent years developing technologies of simultaneous vision simulation aiming at evaluating visual quality with new designs of multifocal lenses before they are implanted or even manufactured. Now, they are introducing SimVis, a lightweight binocular visual simulator that is autonomous and wearable in helmets. In the article, scientists show the equivalence between the vision provided by their device and the intraocular lenses. In other words, lenses are depicted in the simulator. "Visual simulators are an ideal technique to provide patients with a new realistic experience of multifocality before the implantation of a new intraocular lens. In addition, if the simulator is miniaturized and has a more practical design than the ones currently available in the market, benefits could multiply," adds Marcos. Researchers validated the simulator's realism in a group of patients by comparing the visual acuity obtained at different distances through a commercial trifocal lens—with focal points for close, intermediate and long focal distances—and through the same lens simulated by a spatial light modulator (another simulating technology) and by SimVis . "The response to multifocality depends on the subjects, but the real trifocal lens and the simulated one offered the same visual response through-focus in each patient," concludes CSIC researcher María Viñas, first author of the article. The new simulator can be wirelessly controlled by a mobile application or a tablet. With this program, it is possible not just to control the device's lenses, but also to track the functional tests conducted on each patient wherever they are.